2. 2000 Biennial Report for Leroy Huston Contracting, Inc.
3. 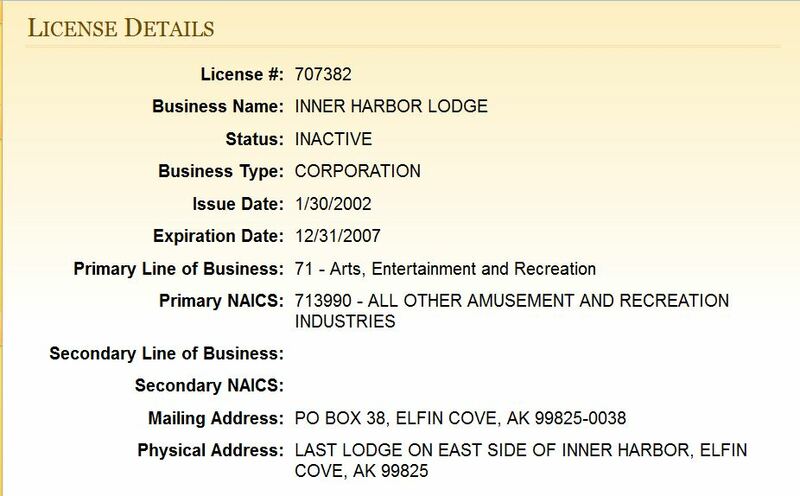 2002- Inner Harbor Lodge is operated by Gold Dust, Inc.
4. 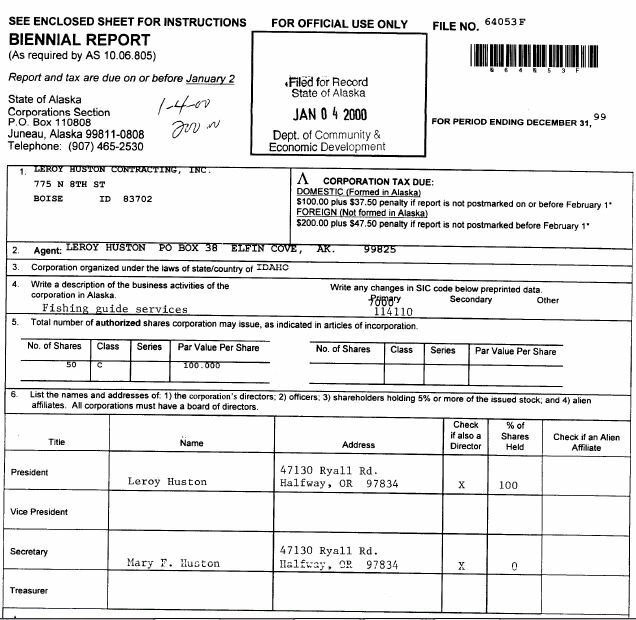 The Hustons became Alaskan registered voters- 4/29/2002. 5. 2004 Biennial Report for Inner Harbor Lodge with P.O. 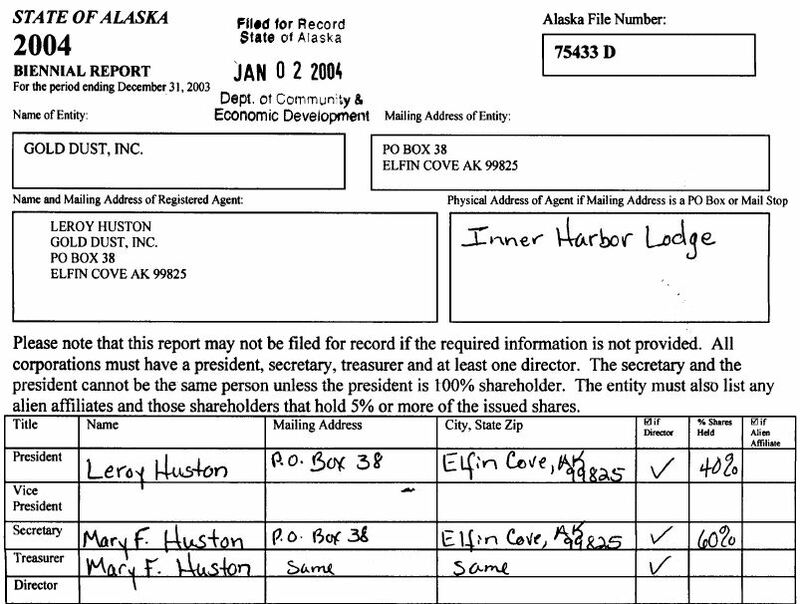 Box 38, Elfin Cove, AK address. 6. 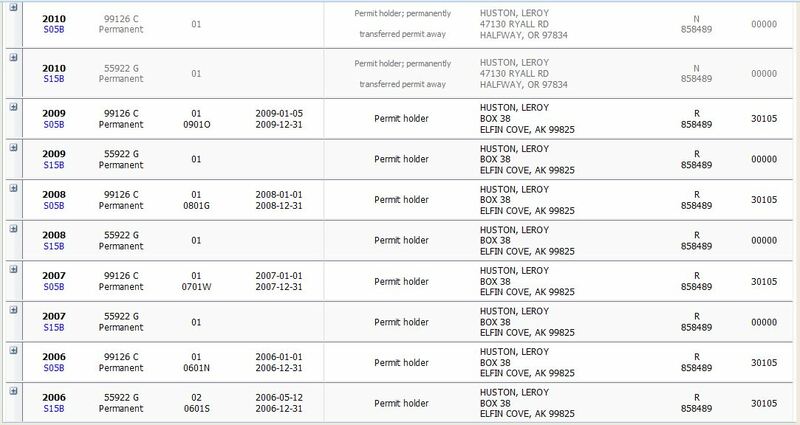 Huston buys resident licenses for his hand and power troll permits using P.O. Box 38, Elfin Cove, Alaska. 7. 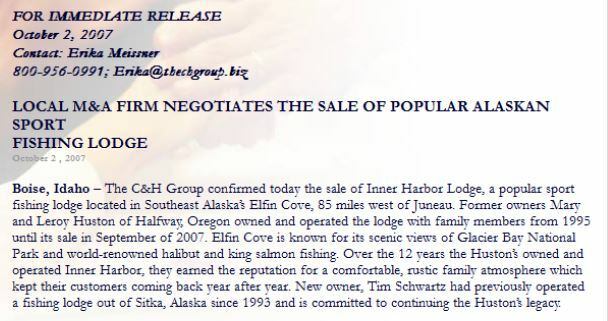 The Hustons of Halfway, Oregon sell Inner Harbor Lodge in 9/2007. 8. 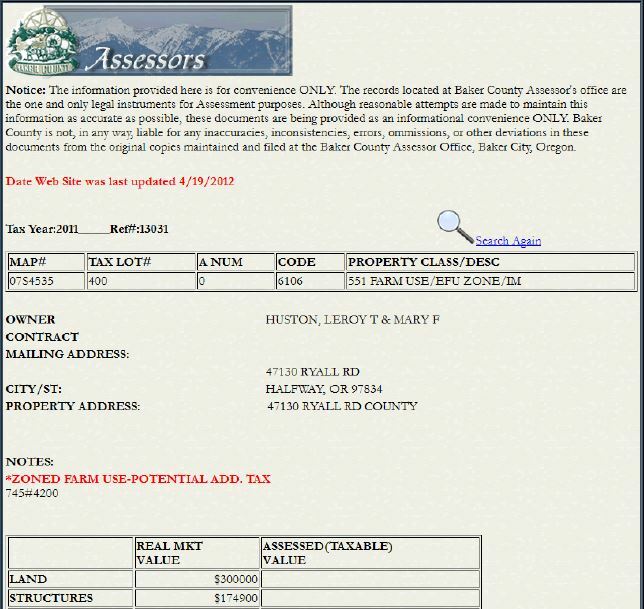 When Leroy Huston sells his two commercial salmon troll permits he uses 47130 Ryall Rd, Halfway, Oregon. 9. 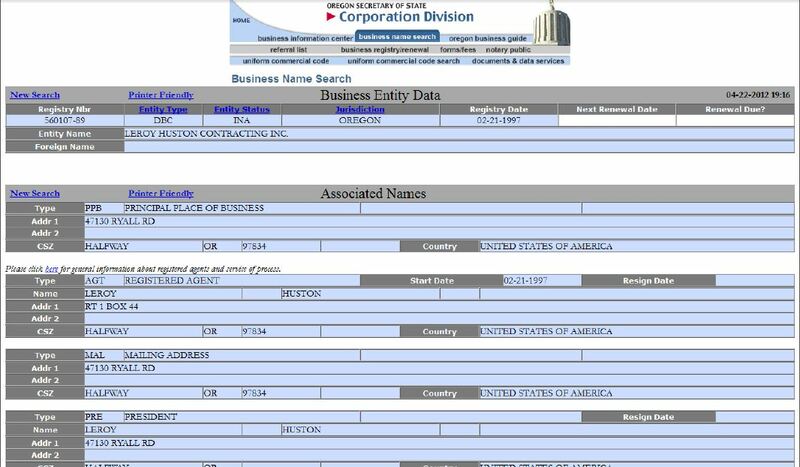 Back to the original Halfway, Oregon address... where they lived all along.